A brass instrument innovator over more than half a century, Zigmant "Zig" Kanstul also played a role in the formation of the Velvet Knights Drum and Bugle Corps in 1963. 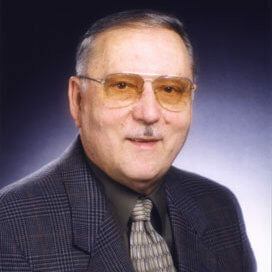 He passed away November 1 at the age of 87. The same year of Velvet Knights’ founding, Kanstul was asked by bugle manufacturer F.E. Olds & Sons to help improve their line of marching brass instruments. As head of research and development for the company, he was influential in creating new bugles that played better in tune and had better projection for on-field drum corps use. The California-based Velvet Knights, which Kanstul co-founded with two others after a split from the Anaheim Scouts, became his living laboratory to prove the efficiency of his instrument innovations, such as the first G-F piston-rotor bugles he created in 1968. Equipped with special slides, horn lines could now play previously unavailable pitches, as well as play intonation-tricky musical passages better in tune. The line of Olds Ultratone horns he designed became the industry standard for an entire decade. This relationship worked well for the corps as the Velvet Knights became a powerhouse among west coast corps, winning the California State Championship within two years after the corps’ formation. According to corps member Garry Parker, Kanstul left the Velvet Knights in 1971 after spending a couple years as director and even working with the corps’ winter guard program. “I'm pretty sure his responsibilities of his job limited his time for the corps,” Parker said. However, Kanstul never lost his connection to the group and would sometimes show up to rehearsals with new instruments for the members to try. 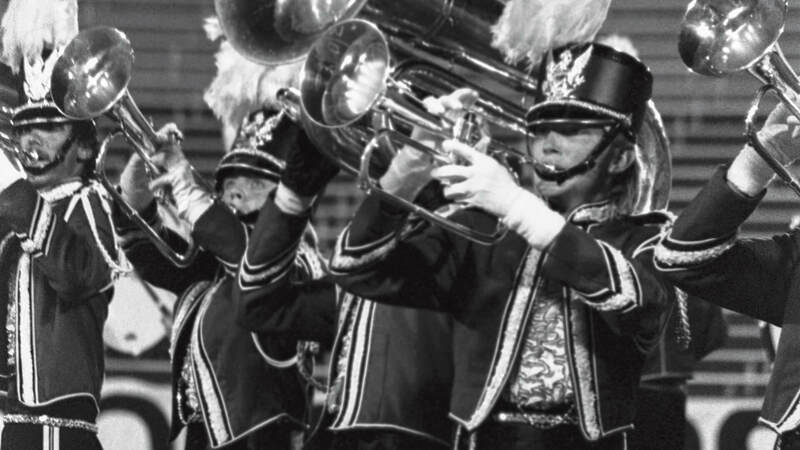 When Drum Corps International’s member corps voted to allow the use of two-valve bugles in 1976, Kanstul was ready with a line of two-valve sopranos. After working with Olds, Kanstul moved to King, a manufacturer of a wide range of instruments. The instruments he designed for King rapidly became the new standard for drum corps brass sections. In his lengthy career, Kanstul also designed horns for Benge, Burbank, and Boosey & Hawkes, among other manufactures. Not content just to design for other manufacturers, Kanstul founded his own company, Kanstul Musical Instruments, and proceeded to build custom professional horns for brass players around the world. When three-valve bugles were first allowed in Drum Corps International competition in 1990, Kanstul’s company was among the first to make the transition, and he was ahead of the game again in 2000 when any-key brass instruments made their debut on football fields across the country. But even while forging ahead into uncharted territory, his company’s ability to produce custom horns for any ensemble allows Kanstul Musical Instruments to supply the United States Marine Drum and Bugle Corps with two-valve G-keyed bugles to this day. Always innovating, Kanstul was known for his tireless approach to the research and development of each of the horns bearing his name. In 1992 Brian Belski, a contra bass-playing Velvet Knights rookie, was invited to Kanstul’s factory. There, Kanstul picked his mind about the redesign of a 5/4 Contra Grande 3-valve G bugle.